Odometer is 1550 miles below market average! The Ford Focus is completely new for 2012, with an all-new design, more fuel-efficient powertrains, and improved handling, along with a host of new technology features. Ford is recognizing that with the possibility of higher fuel prices, small, more fuel-efficient cars will be more appealing, so it's added a top Titanium model that has many of the top-tech features from Ford's larger, more expensive models. A limited-availability battery-only Focus can be had in some markets for 2012. 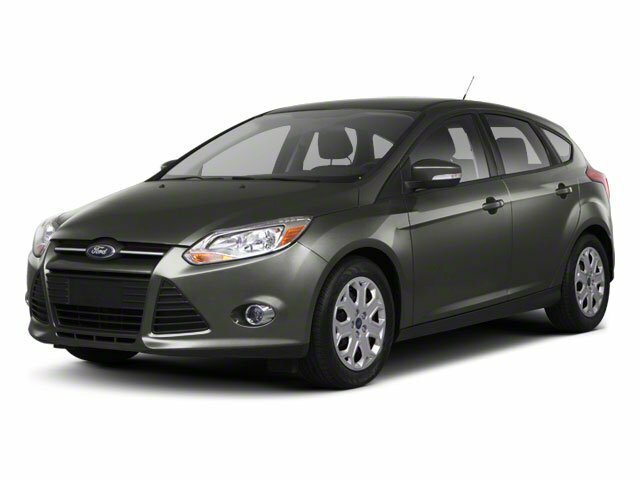 The new Ford Focus is a small car that offers a number of features otherwise seen in larger or more luxurious vehicles. For instance, the Focus is also the first vehicle in its class to offer Active Park Assist, which can actually guide and steer the car into a parking space if the driver moderates speed with the brake. It's also the first small car to offer Ford's new MyFord Touch system, which relies on a sophisticated touch-screen system and has advanced voice-command features and can even provide wifi for the car and the area surrounding. Technology aside, the new Focus stands out from the class for its excellent handling and poise, sporty driving feel, and impressive fuel economy.